Amid the row over Defence Minister Nirmala Sitharaman's itinerary during her visit to flood affected Kodagu district, Karnataka chief minister H D Kumaraswamy on Sunday praised her for the help she extended for rescue operations. Sitharaman and Karnataka minister Sa Ra Mahesh were locked in an exchange of words over her itinerary during her visit to Kodagu district on August 24 in full view of officials and the media at the district commissioner's office. Sitharaman was interacting with a group of affected people of Kodagu district when Mahesh, the district in-charge minister, told her that officials were waiting for her for a review meeting and they have to go for rehabilitation work. This had irked the defence minister. In a Facebook post, Kumaraswamy said, "I am deeply pained at the turn of events with regard to the visit of Hon'ble Defence Minister Smt Nirmala Sitharaman to the flood-affected areas in Kodagu district." The government, along with the relief agencies of both the state and the central governments besides the volunteers were working day and night for the relief and rehabilitation of the flood-hit citizens with support from the Union government, he said. Lauding Sitharaman, elected to the Rajya Sabha from Karnataka, Kumaraswamy said she extended all possible support to carry out rescue operations and visited the flood-affected areas in Kodagu to understand the situation and to support the rehabilitation work. 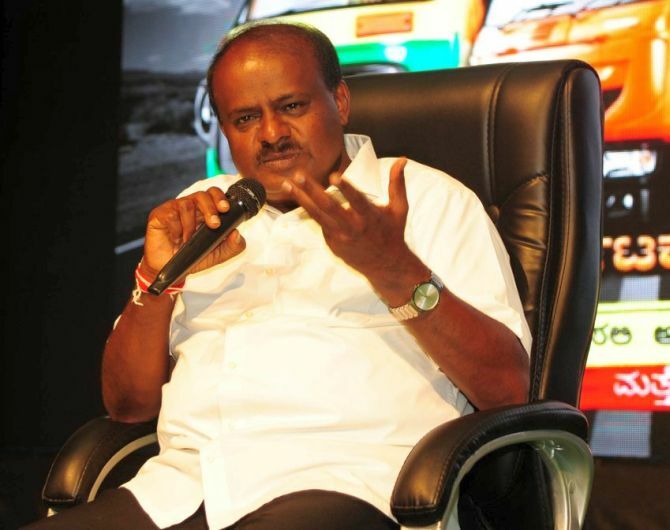 Regretting the inconvenience caused to the defence minister, Kumaraswamy said it was 'unfortunate' that such an incident occurred despite the government and the district administration following the protocol even during the tough situation in the region during her visit. "I believe this is the time for all of us to forget the small differences and forgive each other and join hands for the rehabilitation of the flood affected people in Kodagu. The grave situation in the district warrants it," he said. "Let us not colour such incidents and be distracted from our key focus. I look forward to the continued support of the central government and in particular of the Hon'ble defence minister," Kumaraswamy added. In a clarification issued on Saturday, a defence PRO statement, had claimed that Mahesh, who is the district in charge minister, had made certain 'personal' remarks against Sitharaman which had also lowered the dignity of Rajya Sabha and showed "utter lack of regard" and knowledge about the Indian polity. It had said the remarks made against Sitharaman were also in "bad taste," which do not merit a response. Hitting back at the defence minister, Karnataka deputy chief minister G Parameshwara said state governments derive their powers from the Constitution, not from the Centre.